Smith raised and spent about $285,000 on his campaign, but all of that was in the primary. Once he was the only Republican in the runoff he coasted, assured of election in this “safe” Republican district. And his opponent Fox, raised only $20,000 and loaned himself another $40,000 – he had no organized state Democratic support. So what’s the problem? Well, over the summer local Democrats put on a big registration drive in this middle class district, as they did across the state and using the new online registration signed up a whole lot of new voters. In 2014, the Republican candidate — Palmdale Councilman Tom Lackey — trounced Fox by more than 20 percent despite continuing gains in Latino and Democratic registration.  All he needed to do was run a competent campaign. There was a heavy California favorite who lost in similar circumstances in 2014, however. 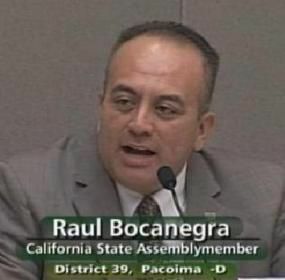 This time it was a Democrat — was Raul Bocanegra, an up-and-coming Assembly member who was seen as a future party leader. The LA Weekly has the key details. It’s easily the political upset of the year in California — Bocanegra, by all accounts California’s Assembly Speaker-in-waiting, every inch the Democratic Party establishment figure, upset by Patty Lopez, a mild-mannered LAUSD employee and political nobody born in Michoacan, Mexico, for whom English is a second language (she speaks with a heavy accent). Bocanegra finished nearly 40 points ahead of fellow Democrat Lopez in the June 3 primary. That’s the typical mauling of anyone who runs a campaign from their kitchen table. Lopez, meanwhile, didn’t file a single campaign finance report until after the election, and it’s unclear how much money, if any, she raised and spent to get her name out to East Valley voters in the district that takes in gentrifying North Hollywood, working-class Pacoima, middle class Mission Hills and horsey Sunland-Tujunga. Notice how the first five races on the page are all Democrat vs. Republican races, and they all have the Democratic candidate listed above the Republican. This is a bizarre coincidence – candidate ballot order is assigned randomly (at least it’s supposed to be) and Democrats do not get to be automatically listed above Republicans. Now, look at the Bocanegra vs. Lopez race, at the bottom of the above page. It’s one of the few Democrat vs. Democrat races on the ballot, under California’s new voting system in which the top-two winners from the primary, even if they’re from the same party, face off in the fall. And who’s listed in the first position in the race for AD 39, the position which up to this point on the ballot was consistently but inadvertently given to the Democrat, with the Republican continually listed in second position? Patty Lopez is in the first spot. This suggests that a good number of voters in the East Valley who were voting straight Democrat — and not really aware of specific candidates — may have automatically filled in the first bubble, for Lopez. There’s no doubt that this ballot prompted many voters to back Lopez. But if Bocanegra had campaigned and sent mailers and run even a semblance of a campaign, the word would have gotten out to enough voters that he was the incumbent — and one held in good regard by other local officials and Latino groups. Instead, like Ron Smith before him, Bocanegra assumed his election was guaranteed, and lost to someone who will lose in 2016 and later be most remembered as the answer to a trivia question. Morale of the story: As Woody Allen reputedly said, 80 percent of life is showing up. In the general election, Smith and Bocanegra didn’t bother. Ironically, Bocanegra spent GOTV weekend walking for Fox.